Call it farm-to-table, field-to-pint, or ground-to-glass, the craft beer community is embracing the culinary world’s locavore movement. Through initiatives at some of the country’s largest craft breweries, like Sierra Nevada’s Estate Ale and Rogue Brewing’s Rogue Farms, to local legislature like New York’s Farm Brewery license, “local beer” no longer simply means beer that is brewed locally. Instead, the term is beginning it ignite expectations of beer that is crafted with ingredients that are grown nearby, if not at the brewery. But here’s the trouble: While locavore beers are certainly trendy and sustainability-minded, cost, availability, and quality are all working against brewers. 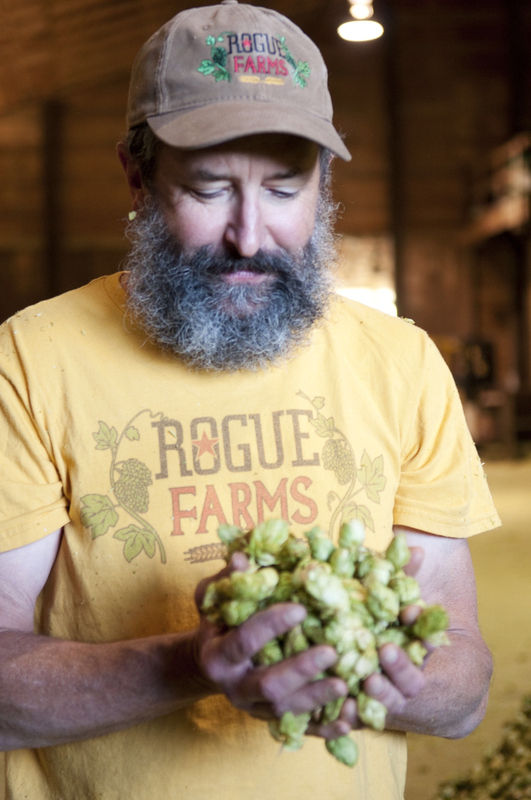 Though Rogue has celebrated many delicious, farm-brewed successes, such as their Pumpkin Patch Ale, Good Chit Pilsner, and Hop Family series of IPAs, few of its field-to-fist batches make it far from the brewpub. “We brew one batch of the [Wet Hop Ale] every year, for the brewpub only. It’s the most inefficient beer we have,” Joyce says. And despite Rogue’s sizable investment, they still don’t have the acreage for readily available releases. Similarly for Sierra Nevada, plucking ingredients from its roughly nine acres of hops and 30 acres of barley to brew the excellent Estate Ale “is incredibly expensive and incredibly labor heavy,” says Sierra Nevada beer ambassador, Bill Manley. Though to their credit, Sierra Nevada, Rogue, and most brewers using local ingredients keep their beer prices relatively close to your average craft beer. Roscoe Brewing in upstate New York is just one of a long list of breweries that opened with the state’s Farm Brewery license. The designation comes with several advantages over the state’s traditional brewery license, such as a lower license cost and increased options for how and where to sell its beer. 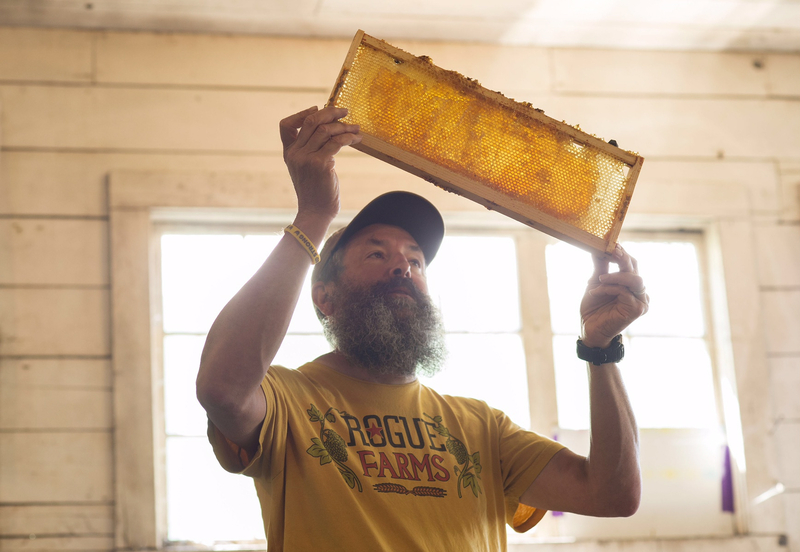 The catch is that until 2018, at least 20 percent of Roscoe’s ingredients must be grown in the Empire State. By 2024, that share increases to 90 percent. Brewing with local grains sold at premium prices may be a luxury for some, but for many, it’s hardly a possibility. At ThirstyBear Brewing in San Francisco, a FDA-certified organic brewpub celebrating its 20th anniversary in September, founder and head brewer Ron Silberstein has found local malt hard to get a hold of from day one. “When we opened in 1996, no one around here was growing barley at all, or if they were, it was being shipped to major malting companies,” he says. Today, that severe lack of small-scale production is still a major issue. In 2010, Silberstein brewed an experimental 100-percent local beer, the Locavore Ale, collaborating with nearby Eatwell Farm in Dixon, California, for barley, and Hops-Meister just outside Clearlake, California, for hops. With no malting facility in the region, the barley had to be shipped and malted in Colorado, and cost eclipsed ThirstyBear’s ability to continue the initiative. Ironically, while the West Coast lacks local, independent producers, the region has the ideal climates for growing grain and hops, while the independent East Coast farmers suffer through poor weather, soil, and lack of experience — Washington’s Yakima Valley has generations-old hop farms to rely on. “We’re not going to beat them in quality,” says Phil Leinhart, brewmaster at Brewery Ommegang in Cooperstown, New York, a farmstead brewery that has played a significant role in bringing hops back to New York State. “Some people think that because it’s local, it’s going to be higher quality. It’s not.” On the bright side, Leinhart counters, what small-scale, local ingredients will be is unique. “Cascade hops here versus in Yakima will be different, which is cool,” he says. Scratch Brewing, a farm and microbrewery in Ava, Illinois, takes hyperlocal to a whole new level, producing an eclectic portfolio of beers made with an always-changing array of foraged ingredients found right on the brewery’s property. According to Aaron Kleidon, one of Scratch’s co-owners and the brewery’s forager, almost all of the brewery’s beers are one-offs sold out of their on-site taproom. One saison was brewed with 105 different ingredients, ranging from garlic scapes to oregano and acorns. And an amber ale used local honey, toasted oak bark, and lavender from Scratch’s garden. However, hops and grains are a different story, Kleidon says. “We’re in corn and soybean country here in southern Illinois. Our barley and rye comes from all over,” he says, meaning Northern California, Canada, and even Europe. “It seems ironic that we brew with local herbs and botanicals, yet the best grain comes from Europe.” The closest malting facility, he says, is still an eight-hour drive. Even in New York, where several malting companies have opened over the past few years — Roscoe buys malt from North Country Malt Group in Champlain, New York, and East Coast Malt in the Finger Lakes Region — Hughes faces the same issue. The farm-to-pint trend will take time to fully develop, as more family-owned farming businesses devote their time and land to beer ingredients, and more barley growers and hop yards further develop their crops. However, breweries like Roscoe, Scratch, and ThirstyBear anxiously await their heyday. And leaders like Sierra Nevada and Rogue will never be immune to a bad crop, yet they’re still learning, growing, and frequently bottling fantastic results. True farm-to-pint beers may not consistently stack up against the best beers you’ll find on tap yet, but the promise of developing local flavors, as well as economies, is worth the wait.